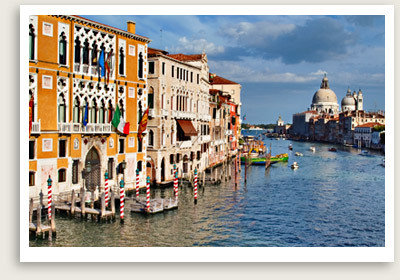 Tour Includes: Entrance tickets to Accademia museum, Services of your private, licensed local tour guide. This guided tour of Accademia will take you through the most important art museum in Venice. The Accademia was founded in 1750 by the Venetian Senate as Venice’s school of painting, sculpture, and architecture. Here you will see the masterpieces of Venetian and other painters, including works by Giorgione, Bellini, Carpaccio, Titian, Tintoretto, Veronese, and Tiepolo. The gallery also hosts temporary exhibits on specific themes. The Accademia is in the Dorsoduro district, so you can combine this visit with other guided tours in the area, such as the Dorsoduro walking tour, Ca’ Rezzonico (the Museum of the 18th Century), or the Guggenheim modern art collection.